We are proud of the professional and friendly service we provide to all our customers. In the last 12 years our reliability and customer care have seen us grow from a single 8-seater Ford Transit minibus to the fleet of minibuses and executive cars that we provide today. Along the way we have had our share of unusual journeys from driving Earl Spencer to Glyndebourne through getting lottery winners from A to B and most unusually driving Ken Dodd's biggest fans to Blackpool to see their idol. Ken was on form that night as usual and the performance finished at 3am! These fans also happened to be the youngest OAPs we have ever met! 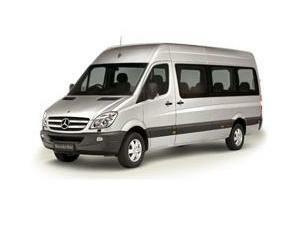 If you need to get to your destination in style or there's a larger group of you needing a comfortable minibus or coach and you want us to take the hassle out of your journey then just get in touch.